Linear Actuators for Renewable Energy Industry - Venture Mfg. Co.
Several technologies are being developed and utilized to effectively tap into several renewable energy sources available to us. Actuators form a big part of these innovations. The system components that employ advanced technologies rely on electric actuators to perform consistent, sustainable, and quick movements. These systems are being implemented in various sectors as well as various stages of energy production. Venture Mfg. Co. is responsible for providing exceptional quality actuators that provide reliable operation and service life. 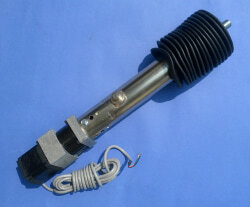 For example, linear actuators are used n machines used to harness wind and tidal energy. These actuators are used to perform the basic movement of the blades. This technology has been borrowed from the same machinery used in helicopters. It has been modified to work with wind turbines. These actuators are developed to factor in the coefficient of friction, load, and provide steady movement. Actuators are also used in machines that convert solar energy to usable energy. Solar energy is produced as direct current. It is then converted to alternating current. Linear Actuators are preferred over other motion systems because of the reduction in engineering expenses. The actuators used across all the different energy sources are able to manipulate the components monitoring the inflow and outflow of energy. Venture Mfg. 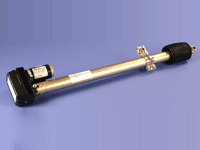 Co. actuators are used to enable and support physical control systems. Actuators are able to provide a great amount of motion whilst occupying very little space. They are economical in nature when compared to most designs and machines. The capabilities of these machines are large, and their application in renewable energy machines is unsurpassed.